The Lizzie Bennet Diaries concluded this past Thursday, so naturally, Marie & I decided to babble about it. How can two people who care not a whit for Jane Austen come to enjoy an adaptation of Pride and Prejudice so much? Listen to find out! 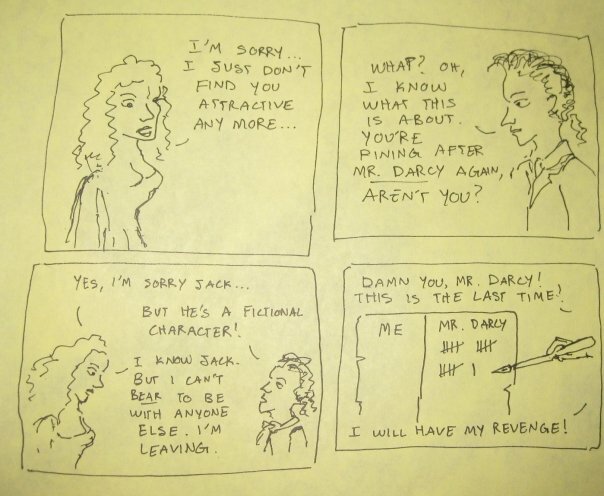 Lest the joke be lost on you, please refer to Mr. Darcy Strikes Again. 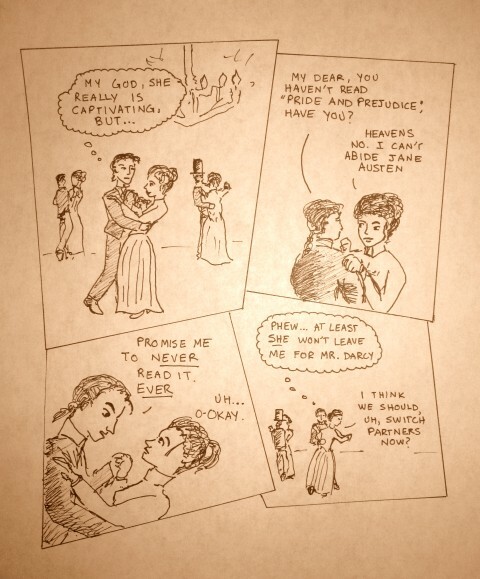 Damn you, Mr. Darcy. Damn You. And I’m sure Colin Firth didn’t help either.